On Tuesday, April 25th, Three Belizean Chefs under the VIVA BELIZE Hotel Group & Adventure Company represented Belize as judges at the 3rd Annual "Gastronomic Festival Guatemagica " in Retalhuleu, Guatemala. Since the start of the Guatemagica Gastronomic Festival in 2015, the aim has been to expose and promote the proper use of raw material produced in the municipality of Retalhuleu in signature traditional dishes of Guatemala. Participants of the festival were asked to develop local gastronomy as a tourism product; to promote the tourist attractions offered by Guatemágica but most importantly to promote the culinary culture in Guatemala. 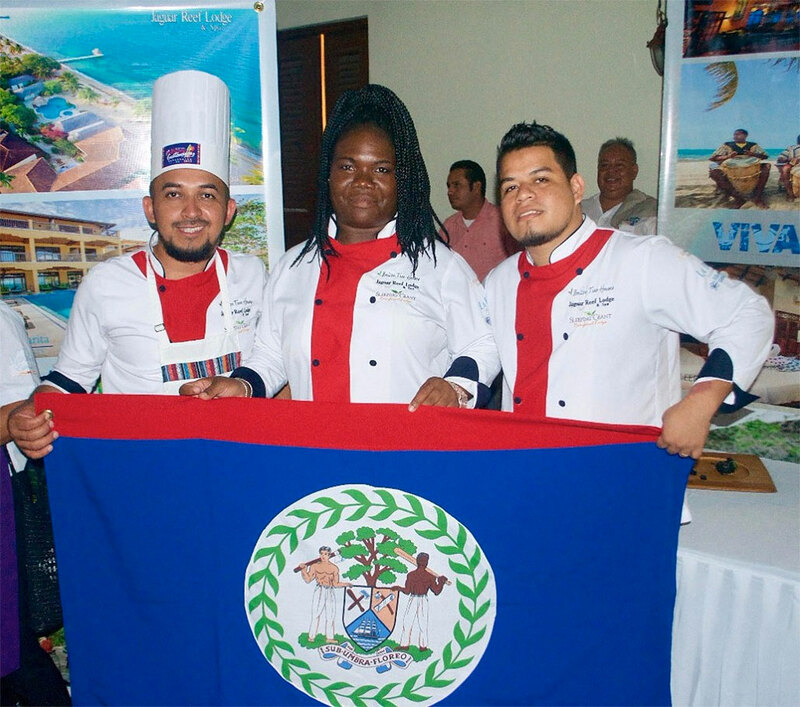 Representing Belize for the very first time at this years' event were Chef Oscar Adan Reyes, Chef Rahim Melendez and Chef Indeira Duran individually representing Sleeping Giant Rainforest Lodge, Jaguar Reef Lodge, Almond Beach Resort and Villa Margarita. This high level culinary event brought together participants from all over Central America with very esteemed chefs carefully judging the competition. Participants were asked to expose their skills and creativity in presenting unique dishes made with local products such as: Güisquil, Suchile, Miel Organic, Jocote and Marañón. According to Chef Adan, "We are honored for such a great invitation and experience. Activities such as "Guatemagica" leave us in awe as this inspired us as young Belizean chefs to continue cooking using our local products of Belize. As this was our first Culinary Food Festival Event, we look forward in continuing to represent VIVA BELIZE and in extension our country Belize in many more Culinary Food Festivals within Central America bringing full exposure to what Belize has to offer as a unique destination inviting all to discover how to be!"